Medical Center Hearing Aids, Ltd. has been in existence since 1980 as an affiliate of Medical Center ENT Associates of Houston, P.A. Originally located in the Texas Medical Center in the old Hermann Professional Building, the office moved to St. Luke’s Medical Tower in 1991, then to the existing location at 4101 Greenbriar in 2012. 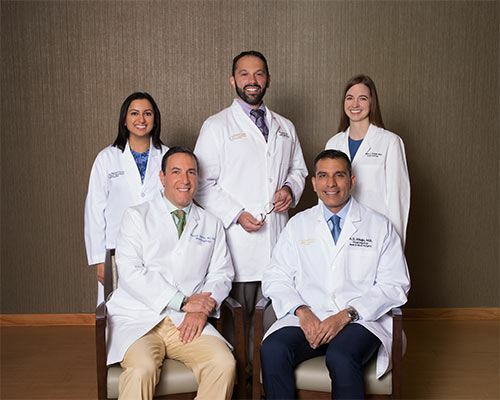 Even though we are no longer physically in the Texas Medical Center, we like to say we offer Medical Center quality of care without the Medical Center hassle, by providing easy access and free parking. Our goal is to provide you the best possible hearing care, based upon your individual needs. We provide a full array of services related to prevention, evaluation, and rehabilitation of hearing impairment. These services include comprehensive hearing evaluations, hearing aid services, tinnitus management and auditory rehabilitation, both individualized and in groups. Over the years, the practice has expanded to include all the major hearing aid manufacturers. Furthermore, our services are not only for people who have hearing problems. The clinic offers custom made hearing protection for hunters and for people who work in a noisy environment. In addition, custom-made in-ear monitors are available for musicians. Custom fit earpieces for hands-free cellular phone operation, as well as iPods and mp3 players are available. And, the popular custom-made swim molds are a must-have for both children and adults who enjoy swimming and going to the beach without the dangers of getting water in the ears. Our office is located near the Texas Medical Center at 4101 Greenbriar Street, Suite 320, just south of Highway 59 and next to Stahlmann’s Lumber Company. Please do not hesitate to contact us to make an appointment, or with any questions or concerns you may have. Our telephone number , FAX (713) 490-5961. We’re here to help people with hearing problems live the quality of life they want and deserve, and to also serve the broader community at large with specialized communication products and services.